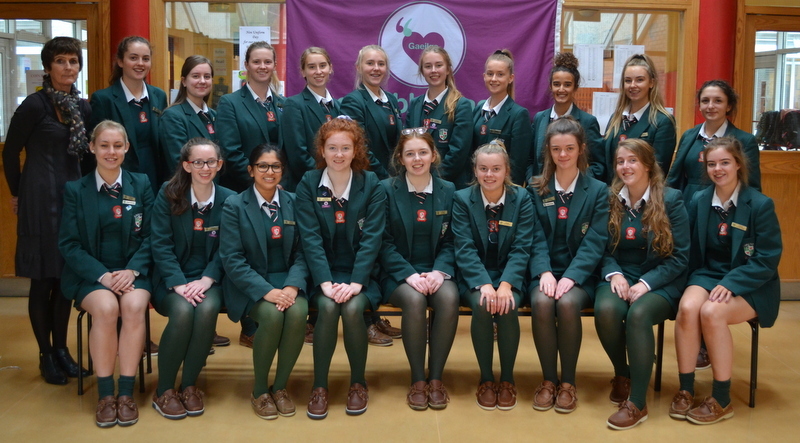 The Senior Leadership team made up of Leaving Certificate students is known as the CARA team. While in Fifth Year, students interested in becoming a Cara apply for a position on the team. The 5th Year students and the Staff then vote on the girls who apply. The top fifteen students are then selected. In the event of a tie/ties the staff vote again on the students involved. Having undertaken a Leadership Training Course, the team is given a variety of responsibilities. A link teacher co-ordinates the activities of the team. The Cara team assists First Year students in adjusting to the Secondary School System. They team organises fund-raising activities for groups such as the St. Vincent de Paul Society and the South Tipperary Hospice Movement. They meet on a weekly basis with their co-ordinator to discuss and evaluate their role in the school. The Green School Committee 2017/18 with Ms. O’Dwyer,Ms. Mullins and Dolores. The Green Schools committee comprises of students from all year groups. Students are elected from the base classes every September. From this committee a core committee (Chairperson, Vice Chairperson, Secretary, Junior representative, Previous Flag Co-ordinators) is then elected. The committee meets every second week at lunchtime. The core committee meets every week to set targets and decide what action the larger committee should follow. The committee works towards the new flag while maintaining the commitments for the previous flags. The Green Schools notice board is in the centre of the school, in Tinsley Hall, and it is very important as it shares information regarding competitions, previous flags and the actions we are undertaking to achieve the current flag. The Green Schools committee also shares information via the Loreto Schools App. The Student Council is the voice of the student body within our school. In early September, an election is run in each class to elect a Prefect and Deputy Prefect. These elected pupils are the representatives of their class and have the responsibility of bringing any issues that may arise to the Student Council Meetings. 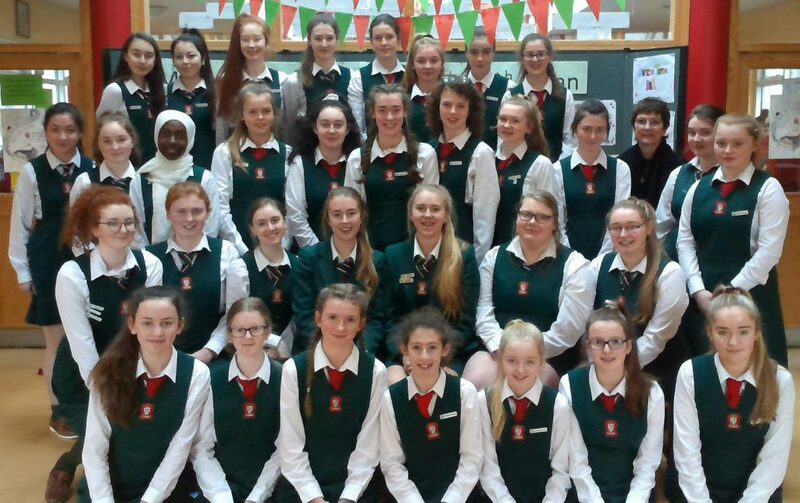 These meetings occur once a fortnight under the guidance of a teacher(Ms Campbell for 2018/19) who will mentor and oversee all Student Council matters for the year. The Student Council organises many important events and programmes throughout the school year. One of their main initiatives this year was the Shoebox Appeal. With organisation and promotion led by the council’s members, a total of almost 200 shoeboxes were collected. 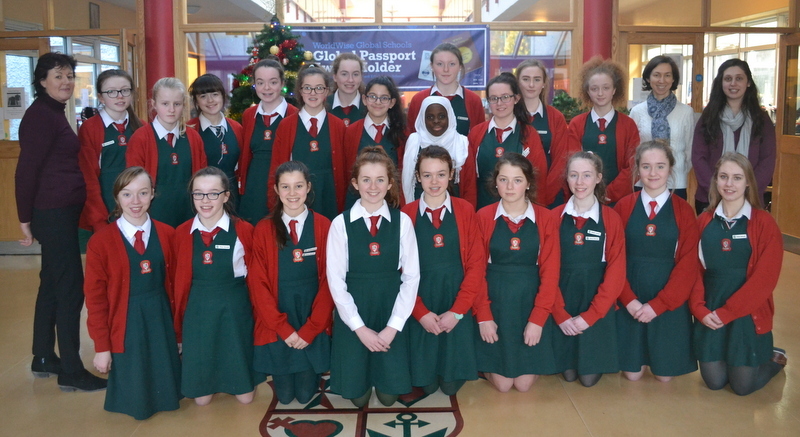 Currently, the Student Council is working diligently in order to fundraise for our sister school, Loreto Rumbek. It is hoped that through this we will also be able to establish a long-term communication system with them.